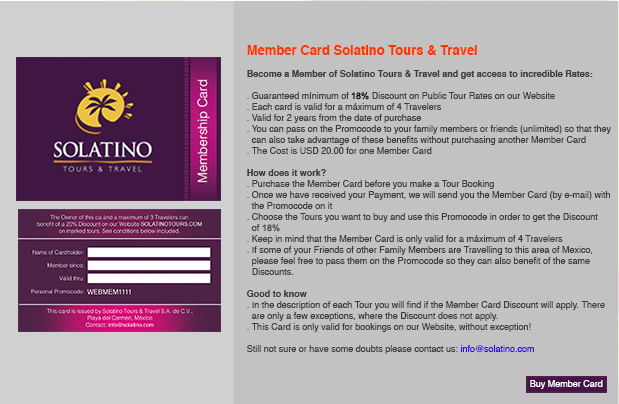 The Whale Shark Adventure is the most amazing Activity you can do. 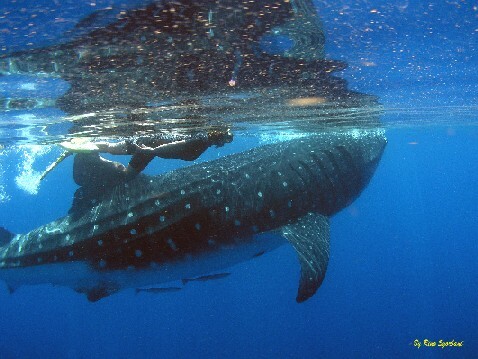 Your will have a chance to Snorkel in pairs with the huge Whale Shark! 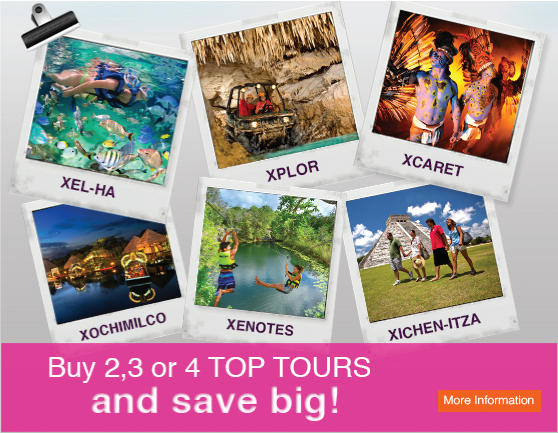 Choose from Xcaret Plus, Xplor, Xel-ha, Xichen, Xenotes, Xochimilco and create your own Superpackage of 2, 3 or 4 Top Tours! 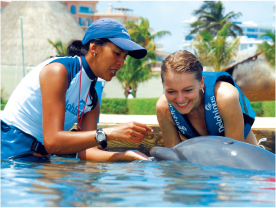 The Trainer for a Day Riviera Maya program is the best option for Dolphin lovers! Be with the Dolphins a full day and learn more about them - A very unique experience! 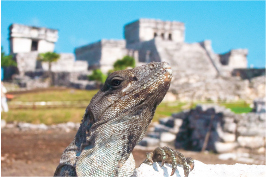 The Tour Coba Maya Encounter has it all to make it a thrilling, exciting and as well a cultural highlight of your vacation! 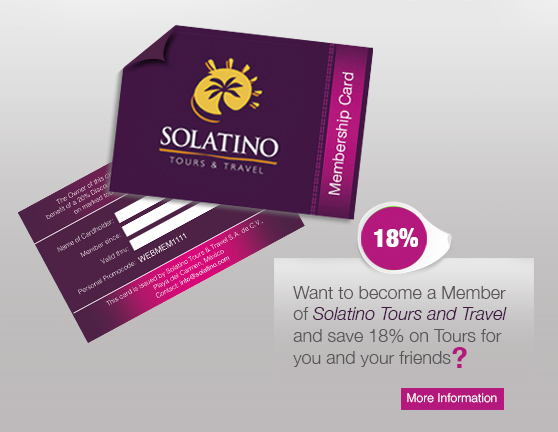 One of our TOP EXCURSIONS. 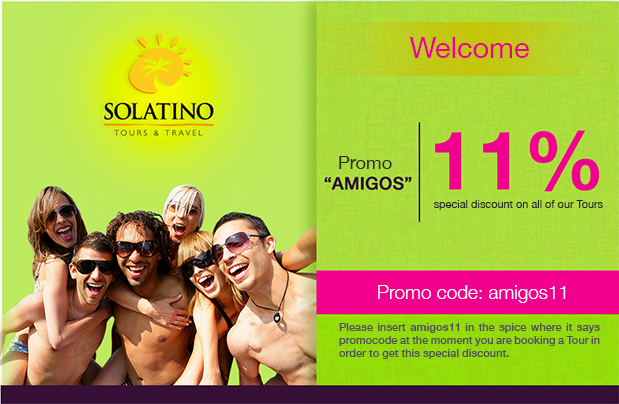 The Tulum Xtreme combines Culture (Tulum) and Adventure perfectly. 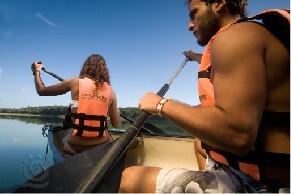 Don't miss the thrilling Zip-lines and Rappeling into a refreshing Cenote! 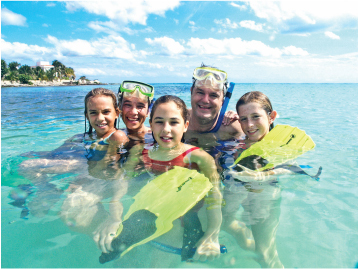 The Tour Mayan Adventure is the most complete Snorkeling Tour, especially for beginners and intermediate Snorkelers. Visit 3 beautiful spots: Cenote - Bay - Underground River!